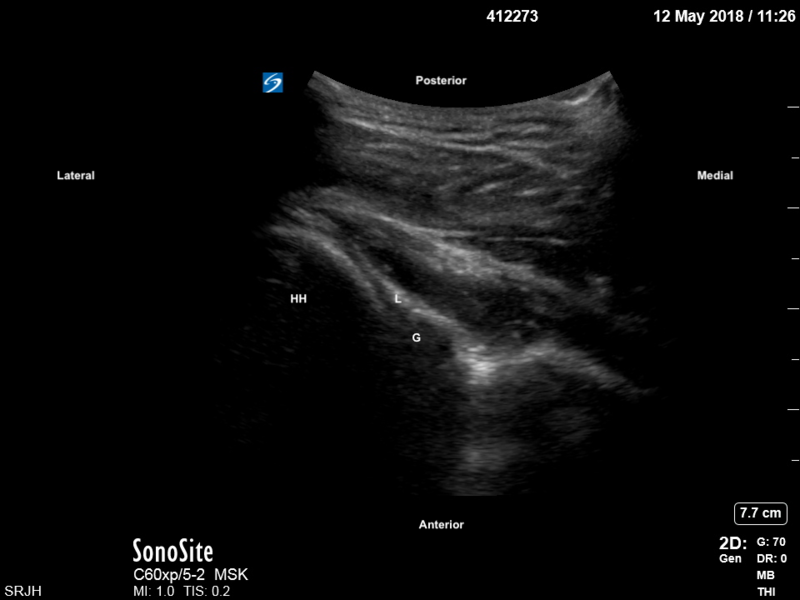 A 32 year old woman with a history of chronic abdominal pain has been sitting in RAZ, presenting with, predictably, lower abdominal pain. She has been investigated multiple times over, with comprehensive labs, ultrasounds, pelvic exams and a previous CT, all of which have been normal. She carries with her a myriad of diagnoses; chronic abdominal and pelvic pain, IBS, fibromyalgia, depression and anxiety. On history she reports near constant, left lower quadrant pain over the past 4 months. It is worse when sitting up and lying on her left side. The pain is sharp and she is able to localize the pain with a single fingertip. On history, you elicit no red flags for an intra-abdominal source of her pain. You ask her to lay down on the examination bed and hold your finger over the area of maximal pain. You feel no mass or abdominal wall defects. You apply light pressure, which triggers the pain, and ask her to lift her legs up. She yelps in pain, noting significant worsening to the site after tensing her abdominal muscles. Anterior cutaneous nerve entrapment syndrome (ACNES) is one of the most frequent causes of chronic abdominal wall pain and often goes undiagnosed. It is caused by entrapment of the anterior cutaneous abdominal nerves as they pass through the fibrous abdominal fascia. 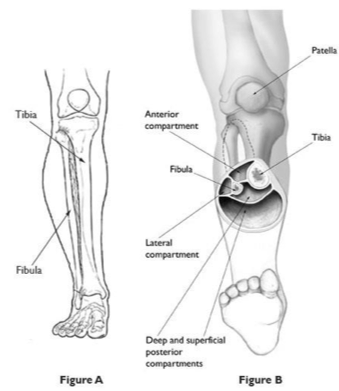 This common condition can be treated rapidly and effectively by local trigger point injection of lidocaine and long acting steroid in the emergency department. 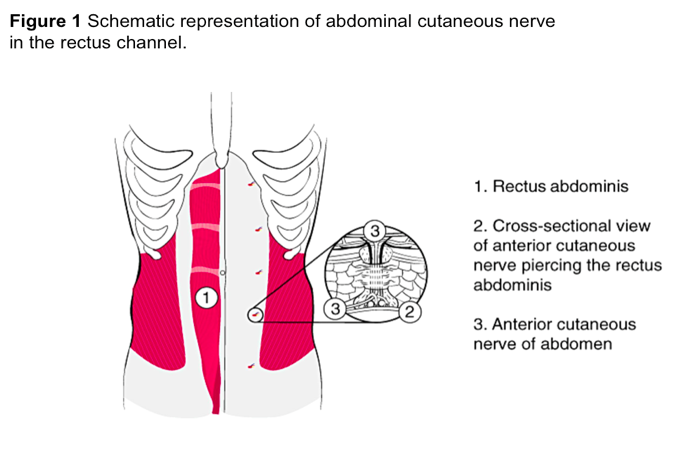 The cutaneous branches of the sensory nerves arising from T7-T12 must make two 90* turns, traversing through channels within the abdominal fascia at the linea semilunaris (lateral border of the rectus muscles) in order to innervate the cutaneous surface of the abdomen. While the neurovascular bundle should be protected from impingement by fat, it is susceptible to entrapment due to the tight passageway through the fibrous channels and sharp angulation. There are multiple risk factors for entrapment, and subsequent pain: tight clothing or belts, intra or extra-abdominal pressure, scarring and obesity. Pregnant women and those taking OCPs may also be at higher risk. 4x more common in women, particularly those between ages 30-50 years of age. Pain is typically at the lateral edge of the rectus abdominis muscles and has a predilection for the right side although, the pain may be anywhere over the abdomen and may be in multiple locations. Pain tends to be sharp in nature, positional and aggravated by activities that tense the abdominal muscles. Pain is generally better supine and worse when sitting or lying on the side. There should be no red flags associated with the history suggestive of a more nefarious source of pain (e.g. GI bleeding, change in bowel function). Use a Q-tip to apply pressure as you move along the abdomen and try to locate the area of maximal tenderness. In most ACNES patients, you will find an area of allodynia or hyperalgesia corresponding to the area of nerve entrapment. Ask the patient to either lift the head and shoulders or alternatively, lift their legs off of the bed while lying flat while you apply pressure over the area of pain on the abdomen. Tightening of the rectus muscles should protect intra-abdominal pathology and pain will be reduced. In the case of abdominal wall pathology, including ACNES, pain will remain the same or be increased. 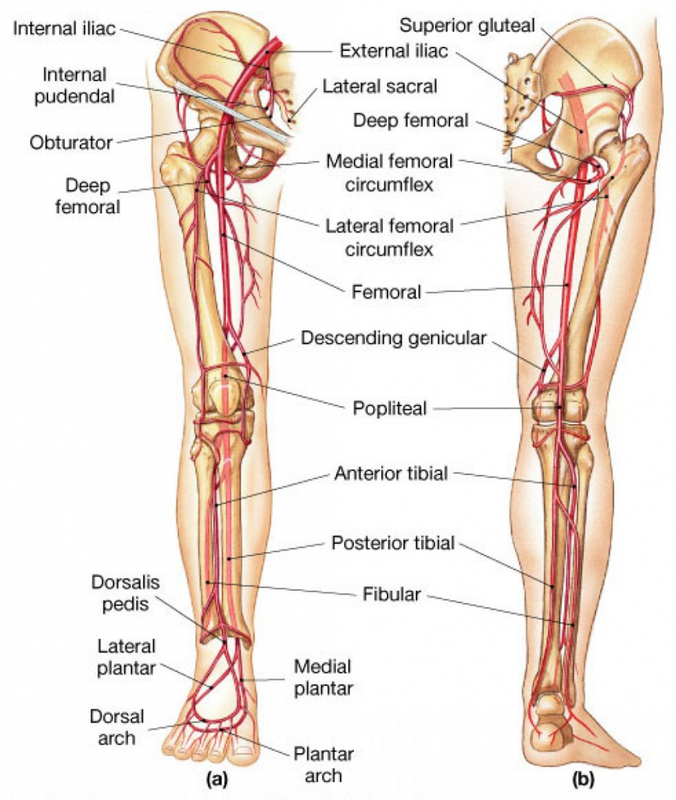 There are 2 types of pain receptors: A-delta and C fibers. C fibers: Mediate dull ‘visceral’ pain that is often difficult to localize and results in pain over larger areas of the abdomen. These fibers innervate the viscera and parietal peritoneum. Look for ‘red flags’ (e.g. GI bleeding, abnormal labs, malnourished appearance) and rule out intra-abdominal sources of pain. Act as both a source of treatment and diagnosis. Provides immediate relief of symptoms to 83-91% of patients. Injections can be repeated q-monthly. 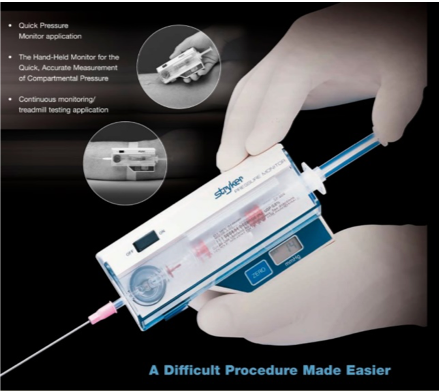 Works through immediate anesthetization of the nerve, steroidal thinning of surrounding connective tissue and hydrodissection. 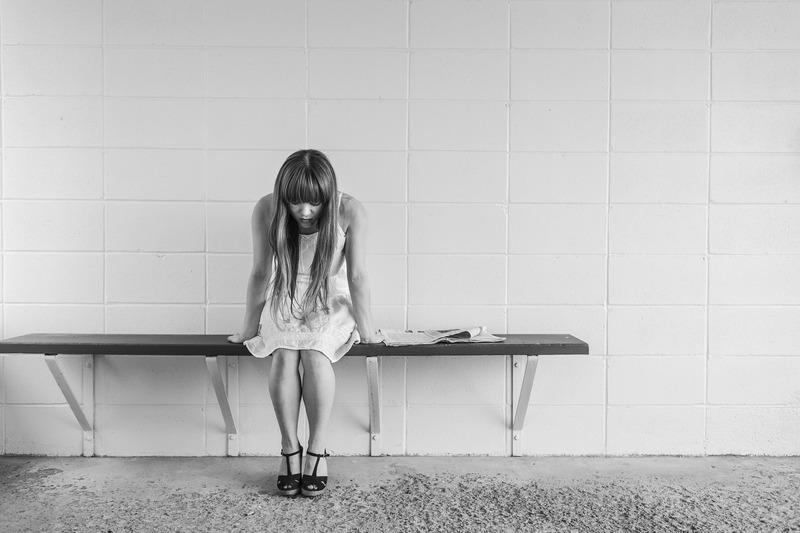 If the pain returns after trigger point injections, after considering other diagnoses, patient’s can be referred for chemical neurolysis (alcohol injections) or in some instances, surgical neurectomy. Pain should resolve within 5 minutes. US guidance may be useful for increasing the precision of the injection and can be used to visualize the passage of the nerve through the abdominal fascia. Suleiman, S, Johnston, D. “The Abdominal Wall: An Overlooked Source of Pain” American Family Physician. August 2001. Kanakarajan, S., et al. “Chronic Abdominal Wall Pain and Ultrasound-Guided Abdominal Cutaneous Nerve Infiltration: A Case Series.” Pain Medicine, volume 12, Issue 3, 1 March 2011, Pages 382-386. Reviewed and edited by Dr. David Lewis. A 53-year-old man comes in to the emergency department after having fallen at work and “hurt his shoulder”. Clinically, it is assessed as an anterior shoulder dislocation and he is sent to x-ray which confirms your diagnosis. Traditionally, the way to reduce a dislocated shoulder involves procedural sedation and some pulling on the arm. While it may save the patient some pain, procedural sedation is not without its risks to the patient and has high staffing needs. Learning some less risky techniques for shoulder reduction can make it safer for your patient and less time intensive for you and your staff! 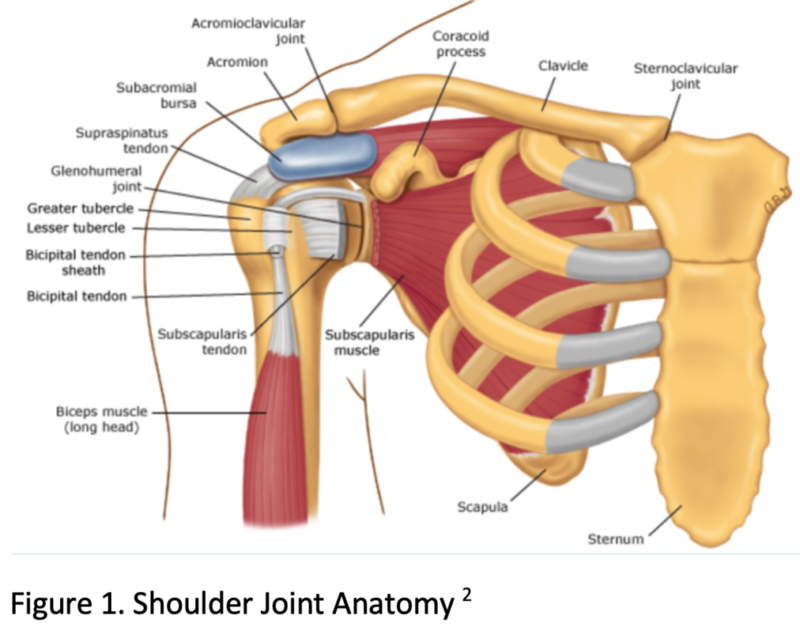 The shoulder is an inherently unstable joint. The glenoid is shallow and only a small portion of the humeral head is articulating with the glenoid in any position. The rotator cuff provides additional support to the shoulder joint. Most commonly it is a blow to the abducted, externally rotated, and extended arm. Less commonly a blow to the posterior humerus or fall on an outstretched arm. The arm will be slightly abducted and externally rotated. It will be lost of the normal rounded appearance of the shoulder. Examination of the axillary nerve and peripheral pulses are essential when examining a patient with an anterior shoulder dislocation before and after reduction. On AP radiograph the head of the humerus will appear medial to the glenoid. On a lateral radiograph it will appear anteriorly displaced. Take care with posterior dislocations as these can appear in joint on the AP, and may only be apparent on the lateral Y view. Based on your clinical examination and imaging, you have determined that this patient indeed has an anterior shoulder dislocation. You have decided to avoid procedural sedation if you can and attempt reduction with the Cunningham technique! Inform the patient of what you are going to attempt. Tell them that their cooperation is necessary for success. Try and relax the patient by getting them to do deep, slow breathing. Sit the patient up with the back straight and shoulder blades pulled back. You can use a bed or a chair, whatever is easiest and most comfortable for both you and the patient. 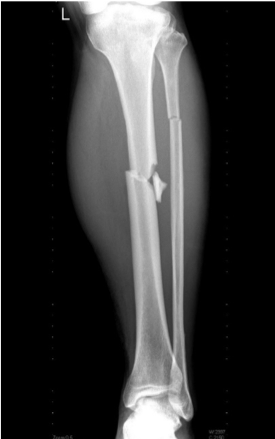 Get the patient to support the arm and bring it in to the best position to facilitate reduction. 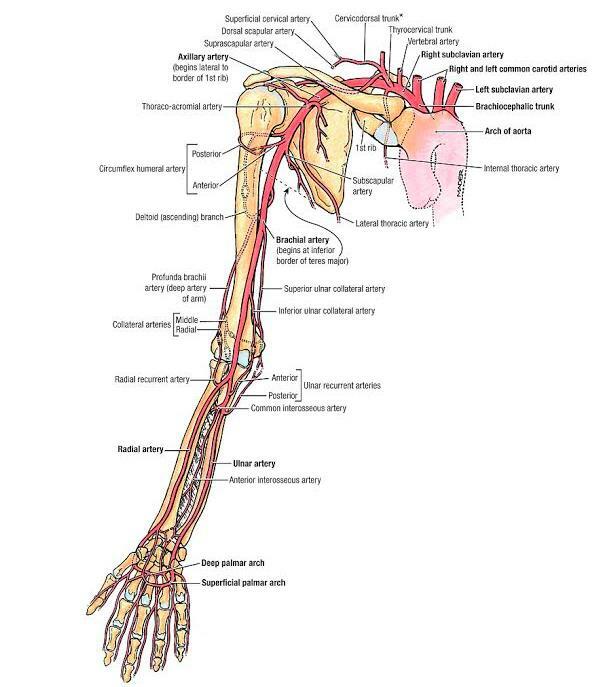 That location is typically with the arm abducted and pointing down with the elbow flexed at 90 degrees with the forearm pointing horizontally and anteriorly. Sit opposite the patient and place your hand on their elbow in between their body and their arm. Rest their forearm and hand on your arm. Apply steady downward traction with the weight of your forearm. Keep the gentle weight on the arm through out. Should now be causing pain as this will cause the muscles to spasm. Massage the trapezius, deltoid, and biceps muscles in sequential order. Repeat this process over and over. 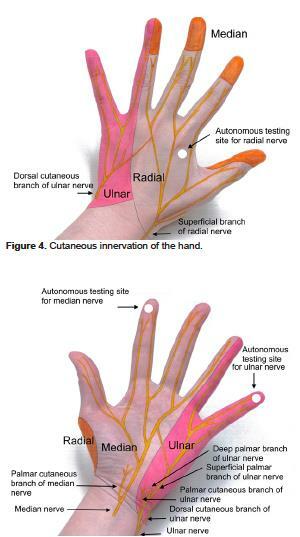 Your thumb should be anterior with four fingers posterior as your massaging these muscles. Most times you will not get the traditional “clunk” sound so frequent reassessments are necessary to see if the shoulder has been relocated. The Cunningham technique can be used as a safe, successful and less resource intensive procedure to relocate an anterior shoulder dislocation. Patient engagement and cooperation is essential in its success. Cunningham N. A new drug free technique for reducing anterior shoulder dislocations. Emerg Med (Fremantle). 2003 Oct-Dec;15(5-6):521-4. PMID: 14992071. 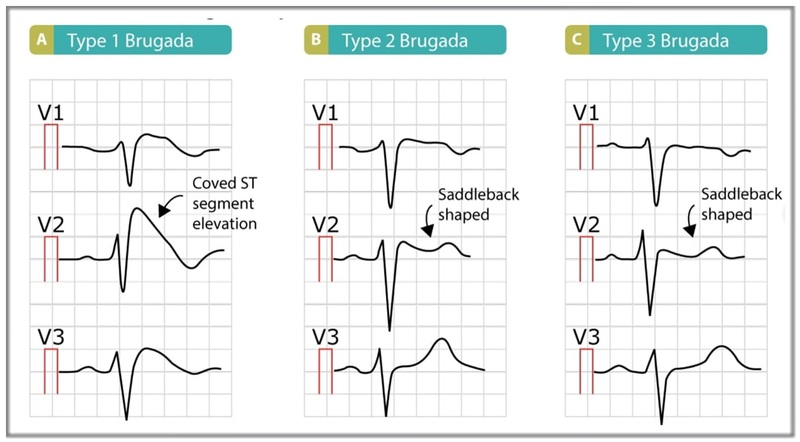 What are you looking for on the ECG of the patient with syncope? Quick review of frequently pimped question on shift! Two approaches – One using systematic ECG analysis, the other a mnemonic. 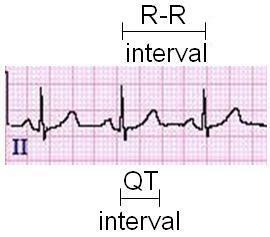 Standard format of rate, rhythm, axis, and segments (PR, QRS, QT, ST). Rhythm: Look at leads II, VI and aVR for P waves. Are they upright in II/VI and inverted in aVR? Does a QRS follow every P and a P before every QRS? If so likely sinus rhythm. 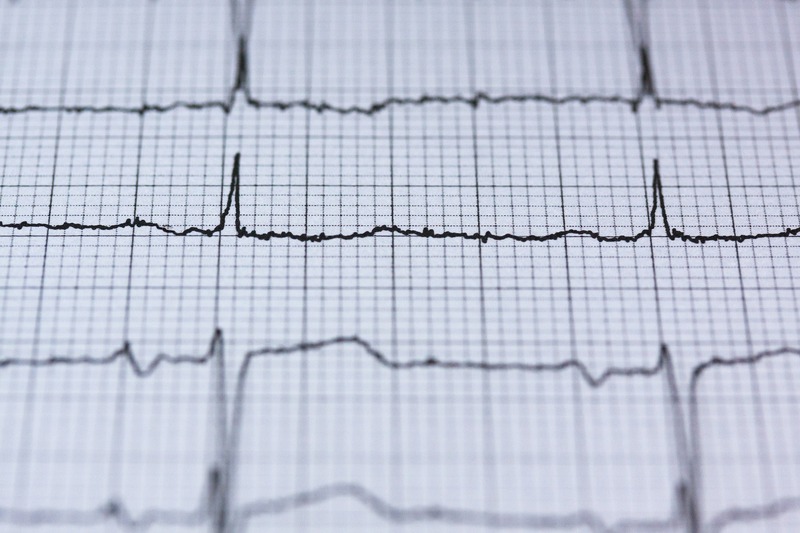 In the setting of syncope we are looking to see if there is any signs of heart block – a P wave not conducted to a QRS, especially being sure not to miss a Mobitz type II block. Axis: Axis comes in to play when looking for more extensive conduction disease. Is there axis deviation along with a change in your PR and BBB indicating something like a trifasicular block? 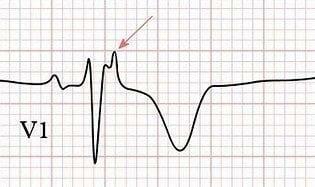 PR interval— is it looooong (heart block) or short (reentrant)? Long has already been discussed in looking for signs of heart block, but a short PR may be indicative of Wolf-Parkinson-White or Lown-Ganong-Levine syndromes. LGL – short PR but no delta wave due to its conduction being very close to or even through the AV node and not through an accessory pathway. QRS Morphology analyzing this for signs of Brugada, HOCM, WPW, ARVD, pericardial effusion, and BBB. 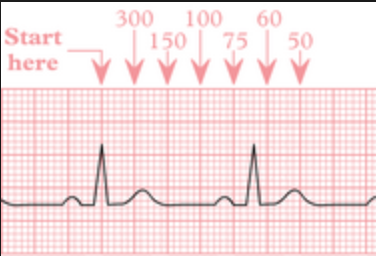 QT interval — is it looooong (R on T) or short (VT/VF risk)? Go back to patient and listen! 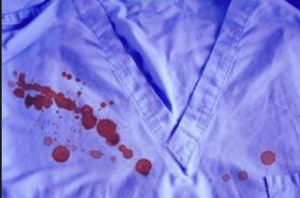 -Estimated blood loss, presence of any clots? Figure 1. 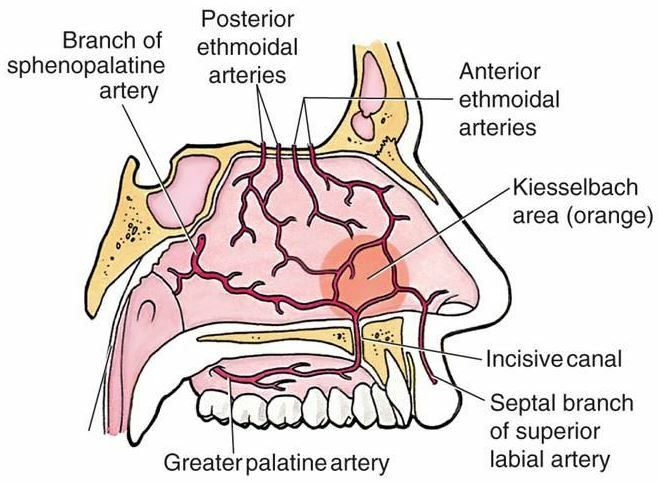 Nasal vascular anatomy, adapted from https://www.juniordentist.com/what-is-littles-area-or-kiesselbachs-area-and-the-arteries-in-it.html. If stops, can discharge home with packing in place and follow up in ED or ENT clinic in 48hrs for removal. No antibiotics required in immunocompetent patients. If bilateral nasal packing bleeding continues, assume posterior bleed and initiate resuscitation, draw labs (CBC, coagulation profile, cross-match if not already done). Reverse known coagulopathy and consult for OR or embolization. Joe Cocker and Randy Newman had an altercation while debating who recorded the best version of “You can leave your hat on”. Randy won (mainly because he is still alive), but unfortunately he sustained a nasty head injury in the process. You deduce that he does not require a CT head but he’s got a 7 cm lac over his scalp. What should you do next? 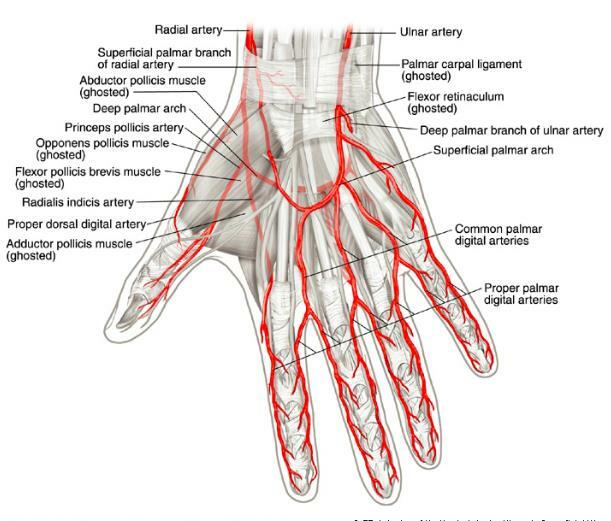 Recall that the dense connective tissue layer is richly vascularized. 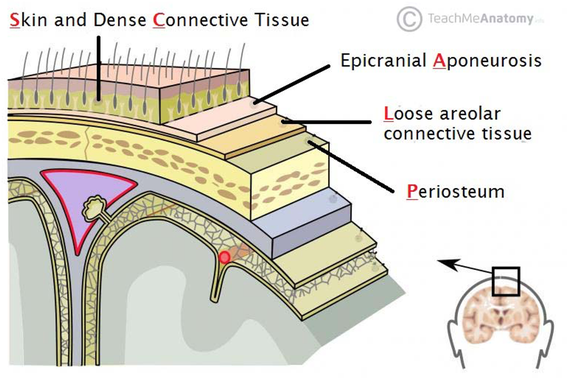 The tight adhesion of these vessels to the connective tissue inhibits effective vasoconstriction, hence the profuse bleeding often seen with scalp wounds. Prior to choosing the most appropriate closure technique, the wound should be cleaned and cleared of debris and the depth of the wound should be determined. 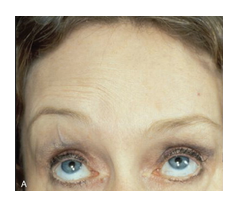 Superficial wounds: generally do not gape and have not gone beyond the aponeurosis. Adherence to the aponeurosis should prevent the wound edges from separating. Deep wounds: gape widely due to laceration of the aponeurosis in the coronal plane. 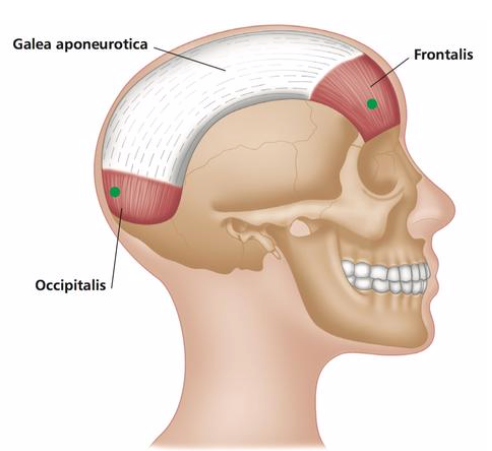 Tension secondary to the occipitofrontalis muscles will pull the wound open in opposite directions. 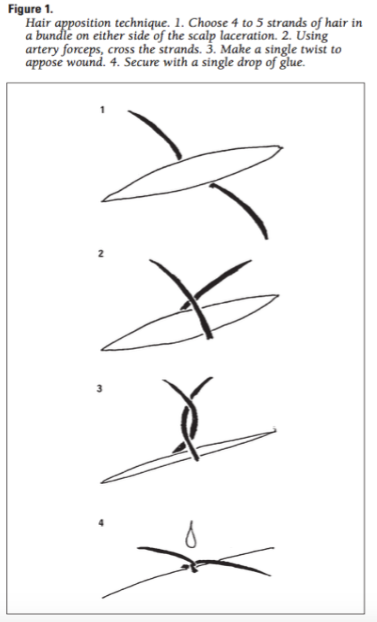 What it is: A fast and simple technique for superficial laceration closure whereby the physician twists hair on either side of the laceration together and seals the twist with a drop of glue for primary closure. 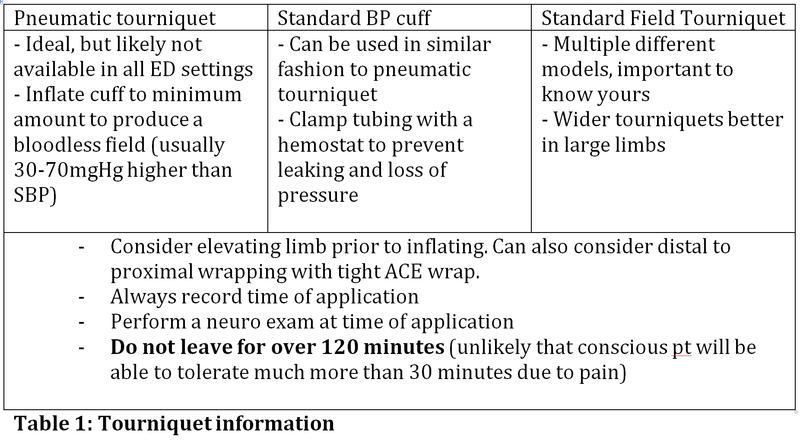 Various advantages, as described below, including no need for follow up suture or staple removal. 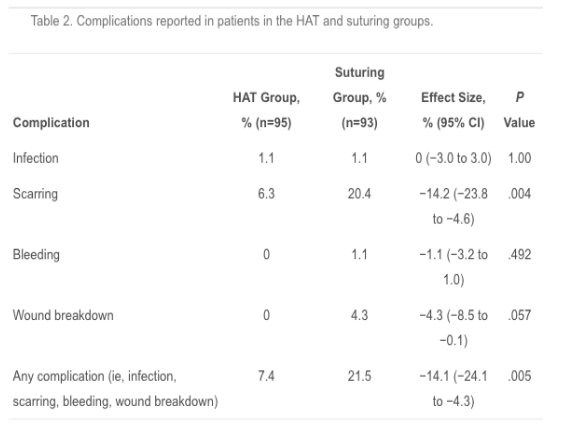 When to use it: Consider using HAT for linear, superficial lacerations, <10 cm that have achieved appropriate hemostasis (assuming the patient has hair!). 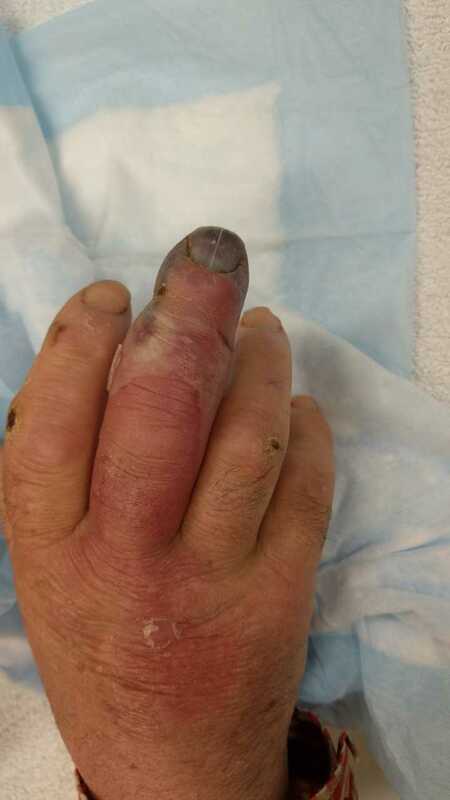 Advise patient that the glue will eventually come off on its on and no formal removal is required. Sutures are appropriate for deep, gaping wounds or those requiring immediate hemostasis. White petroleum ointment is as effective as antibiotic ointment in post-procedural care (Ref 7). Furthermore, the next time you consider handing out bacitracin (or polysporin), recall that it was declared ‘contact allergen of the year for 2003’ by the American Contact Dermatitis Society. Bacitracin is among the top ten allergens in the US causing allergic contact dermatitis (Ref 8). 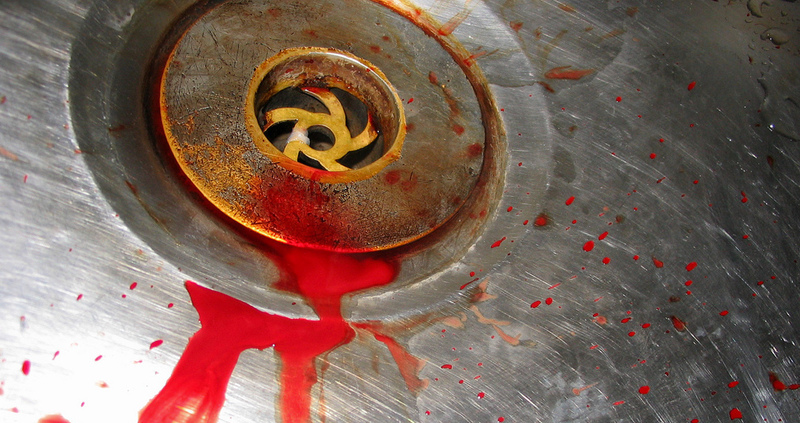 Wetting the wound as early as 12 hrs post-repair does not increase the risk of infection (Ref 7). Consider delaying wetting in the case of HAT. For superficial lacerations, <10 cm with adequate hemostatic control, the hair apposition technique is a fast, cost-effective method of wound closure with high patient satisfaction, reduced pain and lower complications compared to suturing and staples. 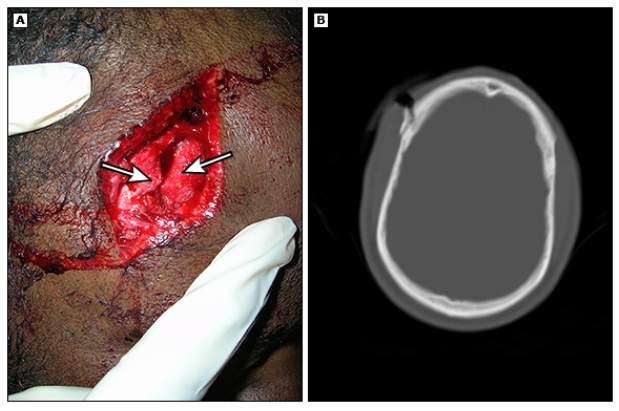 Lacerations through the aponeurosis require suturing to reduce rates of complications. Consider use of petroleum jelly over antibiotic containing ointments such as polysporin. 4 Ong ME. “A randomized controlled trial comparing the hair apposition technique with tissue glue to standard suturing in scalp lacerations (HAT study).” Annals of Emergency Medicine. July 2002. 40:1. 19-26. 5 Ong ME. “Cost-effectiveness of hair apposition technique compared with standard suturing in scalp lacerations.” Annals of Emergency Medicine. 2005 Sept; 46(3):237-42. 6 Ozturk D. “A retrospective observational study comparing hair apposition technique, suturing and stapling for scalp lacerations.” World J Emerg Surg. 2013; 8:27. 7 Forsch, R. “Essentials of skin laceration repair.” American Family Physician. The acute scrotum is a syndrome characterized by intense, new onset scrotal pain which can be accompanied by other symptoms such as inflammation, abdominal pain, or fever3. The incidence of acute scrotal pain is highest under the age of 153, yet it can occur at any age. To successfully diagnosis and manage the patient with an acute scrotum it is useful to formulate a differential diagnosis using the I VINDICATE mnemonic. 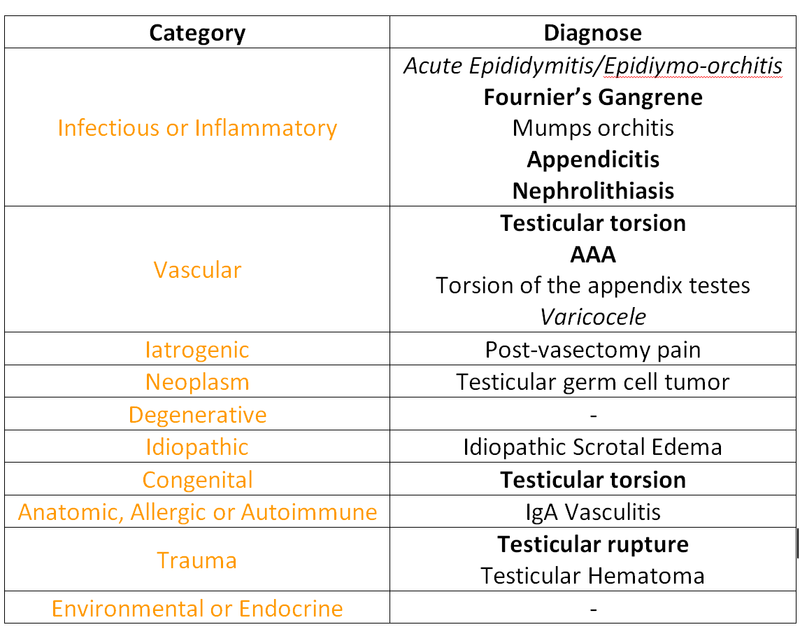 Table 1- Differential diagnosis for scrotal pain organized using I VINDICATE format. The diagnoses in bold are or have the potential to be life-threatening or testicle threatening. The diagnose in Italics are common. It is important to remember that during development the testicles originate in the posterior abdominal wall before migrating down into the scrotum4. Consequently, testicular pathology can present not just as scrotal pain but also as: flank pain, abdominal pain or inguinal pain2. When trying to localize a patient’s symptoms it helps to divide the genital tract into segments: lower segment and the upper segment. The lower genital tract consists of the urethra. While the upper genital tract consists of the testicles, epididymis and prostate. In a patient presenting with an acute scrotum the most important diagnosis to consider is testicular torsion1-5. 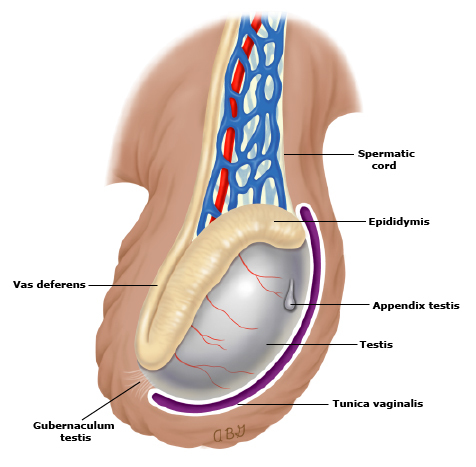 Classic teaching states testicular torsion occurs in the perinatal period and during puberty. and Reported will be: sudden onset of severe unilateral testicular pain within 12 hours of presentation1. Patients will typically have had similar previous episodes, feel nauseated, may have vomited and occasionally have a history of trauma1. On inspection there will be scrotal erythema; a swollen, high-riding testicle with a horizontal lie. On palpation of the testicle it would be found to be exquisitely tender and the cremasteric reflex would be absent. 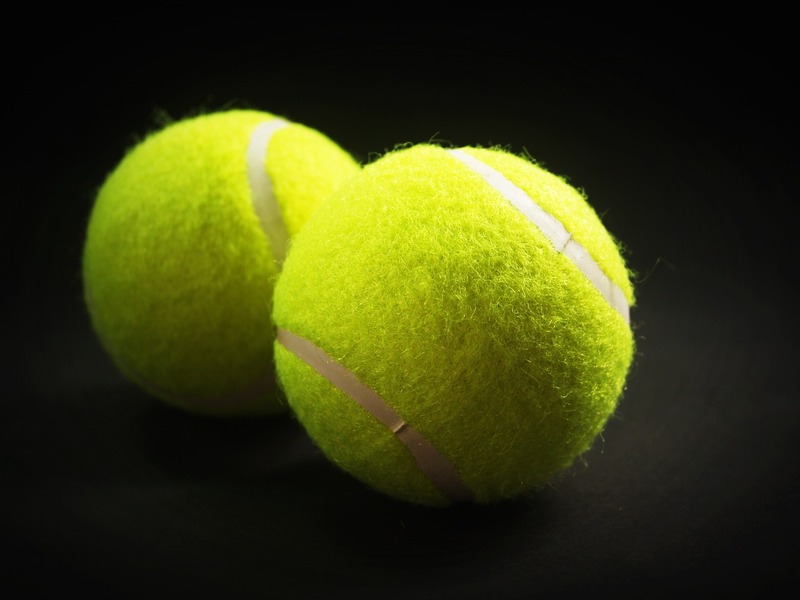 Unfortunately, testicular torsion usually does not present as described above2. In one case series 1 in 5 patients diagnosed with testicular torsion had only abdominal pain and no scrotal pain2. While in another case series 7% of patients diagnosed with testicular torsion presented with complaints of dysuria and/or urinary frequency. Furthermore, other acute scrotal conditions have considerable overlap with the classic description of torsion2. Both epididymitis and torsion of the testicular appendage can present with sudden onset of pain2. Patients with any scrotal condition can have an absent cremasteric reflex as it is absent in 30% of the population and just to make matters more confusing, multiple case series report patients with testicular torsion still having an intact cremasteric reflex1. Jefferies MT, Cox AC, Gupta A, Proctor A. 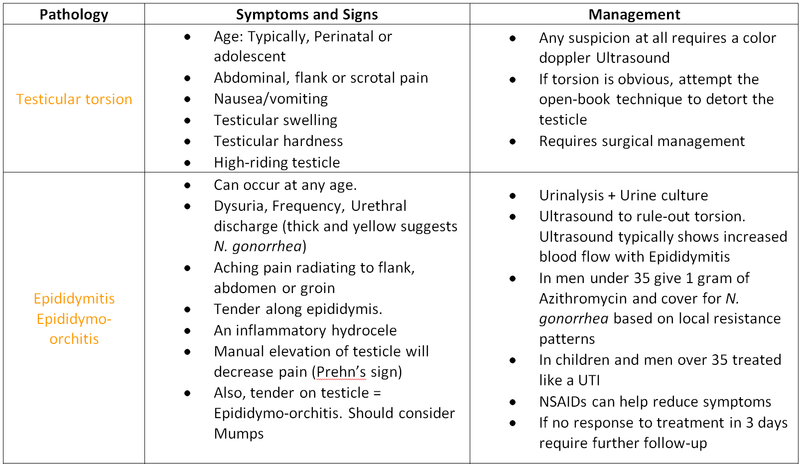 The management of acute testicular pain in children and adolescents. BMJ. 2015;350:h1563. doi: 10.1136/bmj.h1563 [doi]. Mellick LB. Torsion of the testicle: It is time to stop tossing the dice. Pediatr Emerg Care. 2012;28(1):80-86. doi: 10.1097/PEC.0b013e31823f5ed9 [doi]. Lorenzo L, Rogel R, Sanchez-Gonzalez JV, et al. 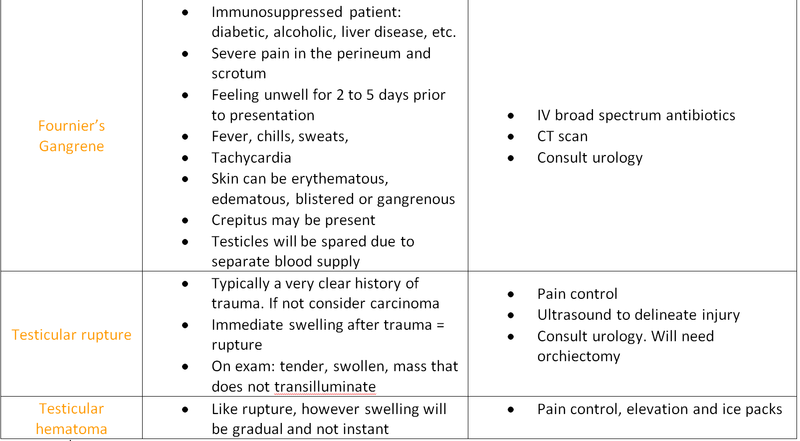 Evaluation of adult acute scrotum in the emergency room: Clinical characteristics, diagnosis, management, and costs. Urology. 2016;94:36-41. doi: 10.1016/j.urology.2016.05.018 [doi]. Drake R, Vogl AW, Mitchell AWM. Gray’s anatomy for students. Saint Louis: Elsevier; 2014. Accessed 8/11/2018 11:47:58 AM. Rottenstreich M, Glick Y, Gofrit ON. 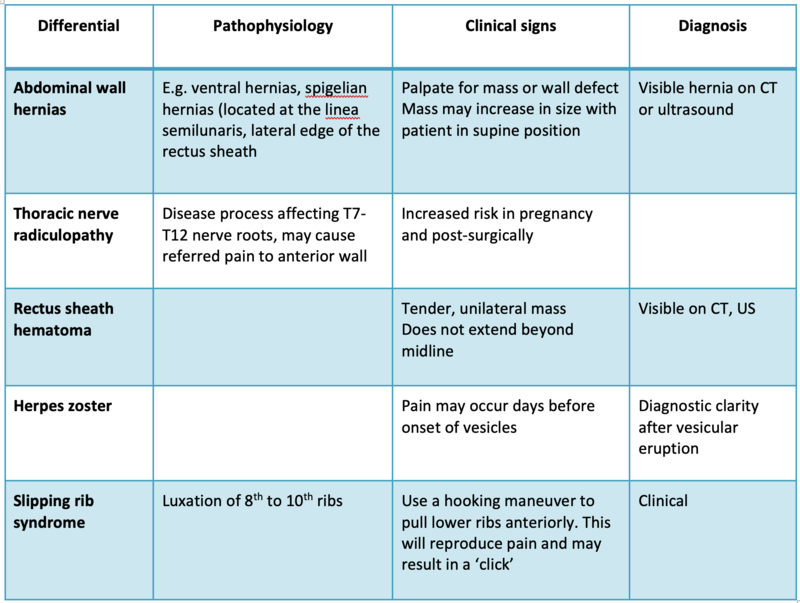 The clinical findings in young adults with acute scrotal pain. Am J Emerg Med. 2016;34(10):1931-1933. doi: S0735-6757(16)30284-4 [pii]. A 24 year old male rugby player presents to the emergency department with left sided shoulder pain. He reports being hit in the middle of the game followed by a pop to his shoulder. Since that time he has had ongoing pain and limited movement. His vitals are normal but he appears uncomfortable. He shows no signs of neurological or vascular injury. History and physical exam is otherwise benign. 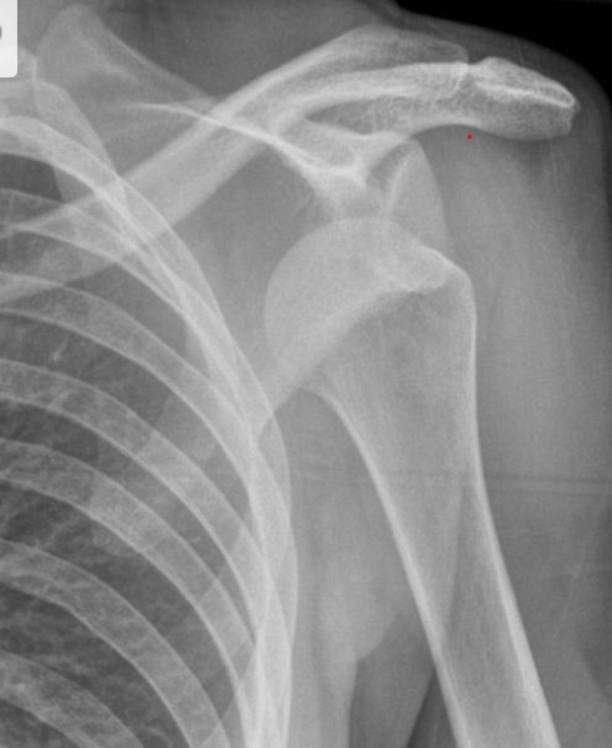 Dislocated shoulder is suspected, but is there a way to quickly diagnose prior to x-ray and therefore expedite administration of pre-procedural analgesia and preparation of procedural team and room? The shoulder is a ball-in-socket joint with a large range of motion and has a high risk of dislocation due to its shallow joint depth and limited tendinous support inferiorly. Most commonly, the shoulder will dislocate with the humeral head anterior to the glenohumeral rim due to an superiorly placed force upon the humeral head. Posterior dislocations are less common and commonly due to higher mechanism of injuries such as seizure or electrical shock. Diagnosis of shoulder dislocation is commonly made by x-ray but this method has its downsides including time to diagnosis and increased radiation exposure. 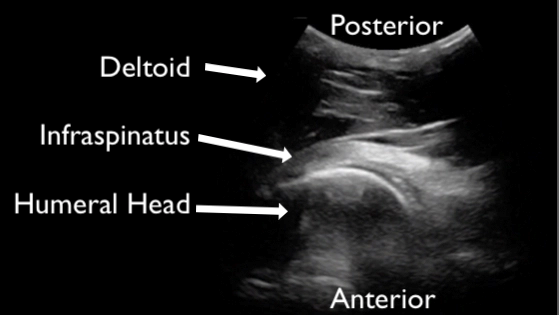 An important consideration is the use of POCUS during shoulder reduction. 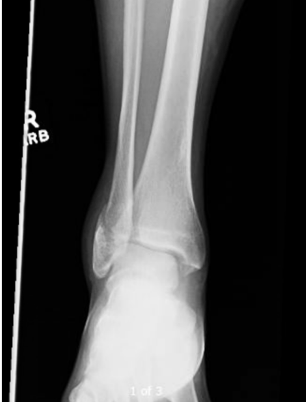 This technique allows for real time confirmation and potentially avoids the need for repeat sedation if failed reduction discovered by a trip to the x-ray department. A recent prospective observational study of 73 patients in the emergency department revealed an accuracy of 100% sensitivity and specificity for shoulder dislocation and relocation (reference 1). Finally, considering there is increased risk of neuro-vascular complications with time to relocation; a decrease in duration to diagnosis could potentially improve patient care. Get patient to sit up to allow availability to the posterior portion of the patient shoulder. Support the patients elbow while positioning the shoulder in adduction and internal rotation. Using the curvilinear probe, landmark just inferior to the scapular spine and follow it laterally until you find the glenoid (G) and humeral head (HH) (Shol1). You should find the humeral head (HH) as a circular structure lateral to the glenoid fossa (G) if in joint. Note the Glenoid labrum (L). To confirm, you can internally and externally rotate the arm and visualize the humeral head freely moving within the glenoid (Shol2/Shol4) (reference 2). Note the overlying deltoid (most superficial) and the infraspinatus tendon that becomes more apparent during internal rotation. POCUS is an easily available and non-invasive tool in the emergency department. 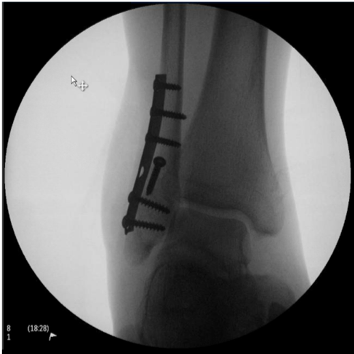 It can be used in cases such as this to improve patient flow, decrease time to diagnosis, and confirm reduction. 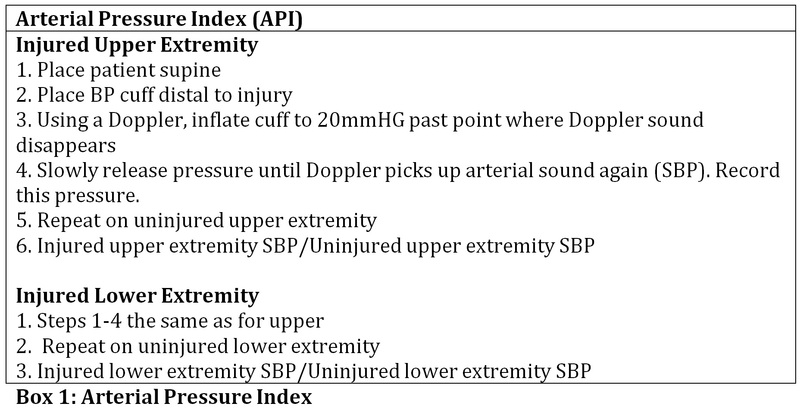 Abbasi, S., Molaie, H., Hafezimoghadam, P., Amin Zare, M., Abbasi, M., Rezai, M., Farsi, D. Diagnostic accuracy of ultrasonogrpahic examination in the management of shoulder dislocation in the emergency department. Annals of Emergency Medicine. Volume 62:2. August, 2013, pg. 170-175. 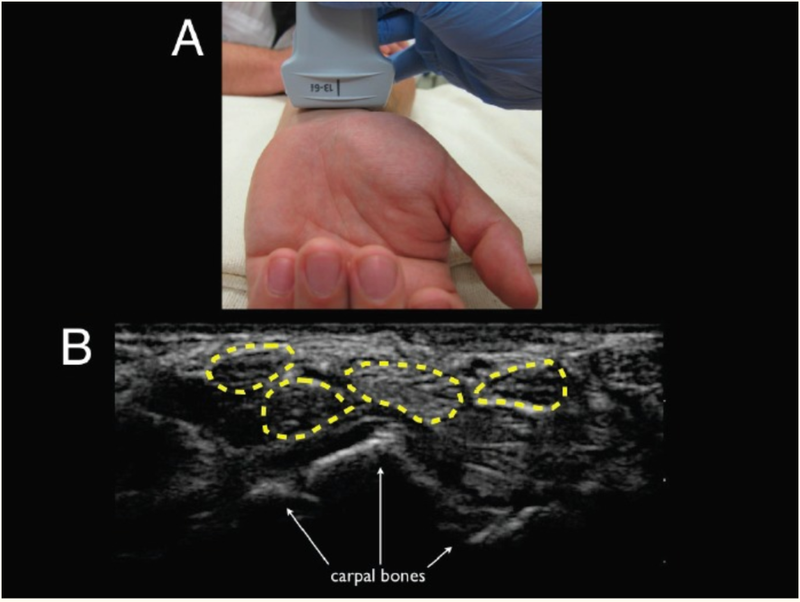 Tin, J., Simmons, C., Ditkowsky, J., Alerhand, S., Singh,M., US Probe: ultrasound for shoulder dislocation and reduction. EMDocs http://www.emdocs.net/us-probe-ultrasound-for-shoulder-dislocation-and-reduction/ January 18, 2018. Rich, C., Wu, S., Ye, T., Liebmann, O. Pocus: shoulder dislocation. Brown Emergency Medicine. 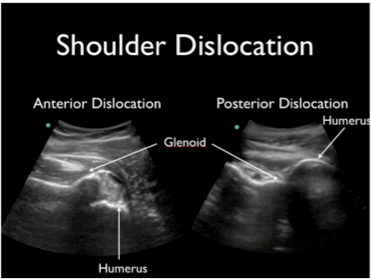 http://brownemblog.com/blog-1/2016/11/30/pocus-shoulder-dislocation. November 30th, 2016.